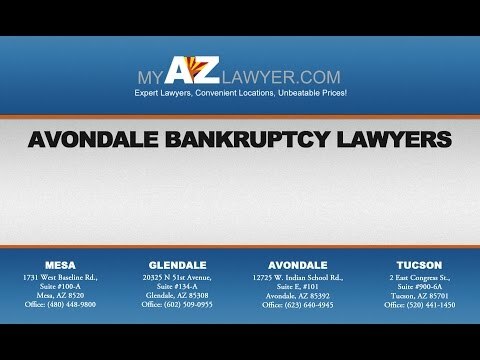 Here’s what you need to know about Chapter 7 Bankruptcy in Arizona! Bankruptcy is a dirty word for some. It has the stigma of being only for people who are irresponsible with their money and go on spending sprees without any thought to how they will pay for them (other than using credit, of course). The other stereotypical view of bankruptcy is that it is for unethical business owners who use it to fix the problems caused by their reckless investing decisions. The reality is much different. The types of clients that the average bankruptcy lawyer Near Mesa sees range from those who have lost their jobs and remained unemployed long past their savings running out to those who became unexpectedly ill or injured and drained everything they had on medical bills. Those who struggle after a divorce often find themselves needing to file for bankruptcy. Bankruptcy laws were designed to help those and others who are struggling financially and need a way to get out from under crushing debt. Bankruptcy is a right and a protection under the law, and filing for bankruptcy does not imply a moral failing. In fact, filing for bankruptcy is a much better alternative to taking out additional loans or credit cards, borrowing against your retirement, or borrowing from friends and family — all of which will only sink you into more debt and cause you more problems. Many of the popular beliefs about bankruptcy arise from a lack of understanding about the laws. It’s time to take a closer look at Chapter 7 bankruptcy in Avondale, AZ. When most people talk about bankruptcy, they are talking about a Mesa Chapter 7 bankruptcy. A Chapter 7 is a total liquidation of unsecured debts, such as credit card debts, personal loans, and medical bills. These debts are not promised against assets like your home or car. The credit was extended based on the lender’s belief in your ability to pay it back — nothing more. Chapter 7 does not eliminate student loans, tax debts, or child-support obligations, but it does get rid of just about every other unsecured debt that you have. A Mesa Chapter 13 bankruptcy, on the other hand, is more like a structured repayment plan. Instead of making individual debt payments for your home, credit cards and so on, you make a single payment each month that is distributed among your creditors. Under Chapter 13, you are paying a negotiated settlement, which can include a lower overall debt amount or a lower interest rate on the debt. You end up saving money, but you don’t escape the obligation to pay. One of the biggest concerns people have when they are considering filing for bankruptcy is whether they will lose their home. However, most people will be able to keep their home and other assets when they file for Chapter 7 bankruptcy near Mesa. Arizona allows for certain exemptions with this bankruptcy filing, including up to $150,000 in equity on a home, up to $6,000 in equity for a vehicle, up to $6,000 for personal goods such as computers and jewelry, and up to $2,000 in value for wedding rings. The full value of retirement accounts is exempt from bankruptcy filings. Therefore, in most cases, you will not have to sell your home or your personal belongings to pay for your debts. The exception, of course, is if you own a luxury home or you have several vehicles. You might then have to liquidate these assets to satisfy your debts. Your bankruptcy lawyer can help you understand your options concerning your assets. Some people turn to bankruptcy when they are at risk of losing their home, such as if foreclosure proceedings have begun against them. Unfortunately, Chapter 7 bankruptcy cannot stop these proceedings. Chapter 7 bankruptcy may help you save your home from foreclosure or your vehicle from repossession by freeing up money that you had been paying toward unsecured debts. You can then use this money to catch up on your home or vehicle payments instead. However, Chapter 7 bankruptcy does not provide any provisions for getting you caught up on those payments or for stopping active proceedings against you. In some cases, Chapter 13 bankruptcy can help. Again, you will need to consult with an experienced Arizona bankruptcy lawyer from a qualified Mesa bankruptcy law office to understand your options. Nationwide, bankruptcy laws were changed in 2005 to make it harder for people to file for Chapter 7 bankruptcy. Now, there are strict qualifying criteria for who can file. Specifically, there is a “means test” that looks at your income compared to the state average, as well as your assets and debts. The amounts are always changing, so it is important that you talk to an Avondale bankruptcy lawyer about the current criteria.Many deductions are available that can help you meet the criteria. For example, you can deduct the taxes taken out of your payment, mandatory retirement deductions, health insurance premiums, and mortgage payments from your income. These and many other available deductions can help you meet the criteria. Again, it is critical that you work with an experienced bankruptcy lawyer who can help you understand what you need to do to qualify and what steps you can take to do so. My AZ Lawyers can help you understand your bankruptcy options and whether filing for Chapter 7 is right for you. Our Avondale attorneys understand that filing for bankruptcy is an emotionally charged choice as much as it is a rational one, and they offer compassionate yet thorough representation to make the process a bit easier. After meeting with a bankruptcy lawyer, you will have a much better understanding of your options and will be better able to make the choice that’s right for your family. Contact us today to learn more about the state’s laws and to start reviewing your finances. You may be able to discharge those debts this year and start over financially, finally working toward the goals you set for yourself.